Category: Ebi (prawn). Season: from spring to fall. Shiro ebi are in season beginning in the springtime. Delicious specimens come from Toyama Bay on Honshu's west coast, an area that's better-known for hotaru-ika (firefly squid). 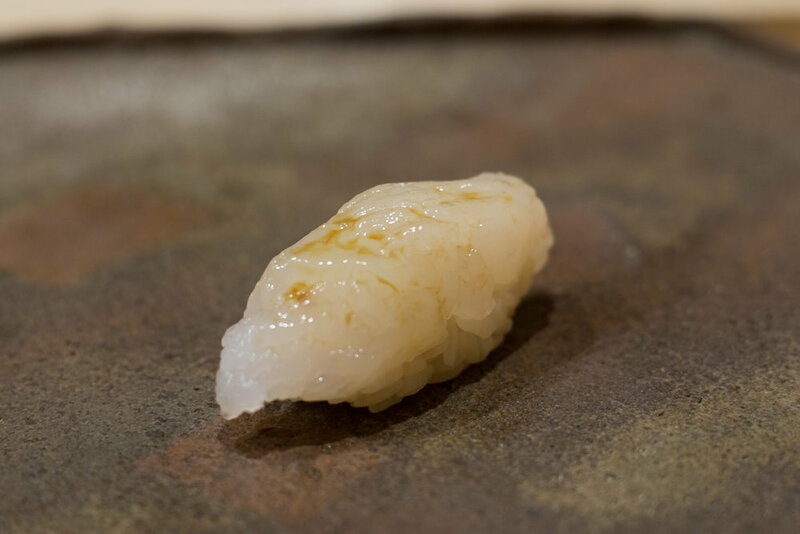 Young shiro ebi are quite small, so many of them are used to form a single piece of nigiri or gunkanmaki. The neta is usually garnished with a dab of freshly grated ginger, or, as pictured, a little bit of nikiri.